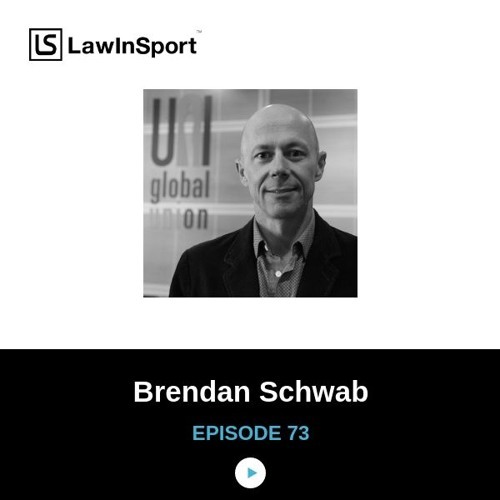 In this podcast Brendan Schwab, Executive Director of the World Players Association talks about the case of Hakeem al-Araibi, a Bahraini footballer player with refugee status in Australia, who was arrested on arrival in Thailand for a vacation, and is being held there pending deportation to Bahrain. In this interview Brendan provides: 1)details of the case; 2)outlines the response from football community; 3)identifies the parties in the football community who have so far been silent; and, 4)outlines the resolution he would like to see. After discussing Hakeem's case Brendan provides an insight into how he started working in the players association movement and gives advice for those who aspire to do the same. We thoroughly enjoyed the interview and took a lot away from it. We hope you do the same. The host is Sean Cottrell (@spcott), founder and CEO of LawInSport. For more sports law news, commentary and analysis go to LawInSport.com https://www.lawinsport.com/ Upcoming Events: https://www.lawinsport.com/sports-law-events LawInSport Recruitment: https://www.lawinsport.com/jobs LawInSport Annual Conference: https://www.lawinsport.com/annual-conference LawInSport Academy Mentoring Scheme: https://www.lawinsport.com/announcements Follow us on Twitter @LawInSport and Sean at @spcott. Listen to podcast on: Soundcloud: https://soundcloud.com/lawinsport iTunes: https://itunes.apple.com/gb/podcast/lawinsport-sports-law-podcast/id655761738?mt=2 or most Android podcast apps.